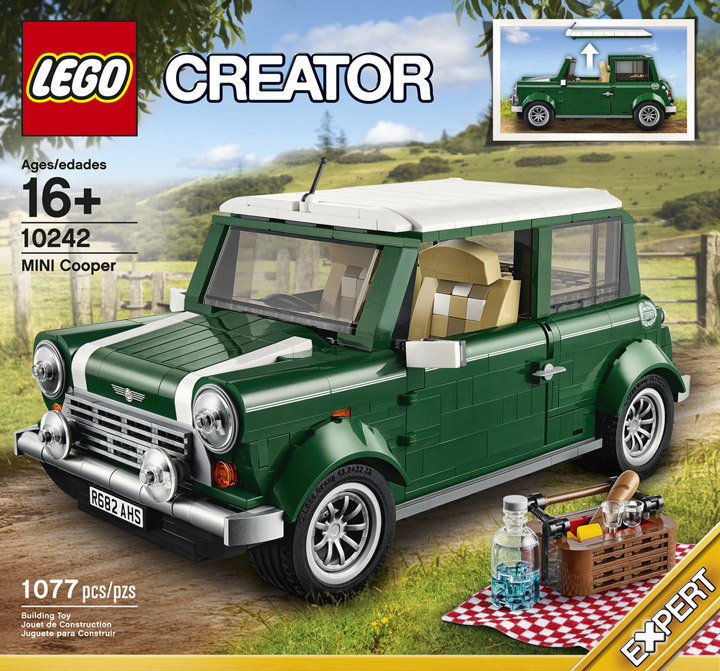 Lego has announced that its next Lego Creator set will be the Mini Cooper (10242). 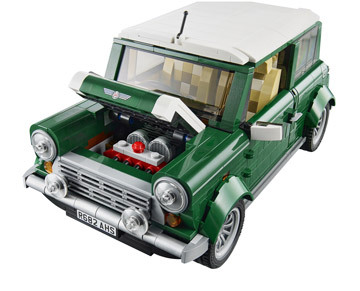 This classic green vehicle is made up of 1,077 pieces with a price point of $99.99. 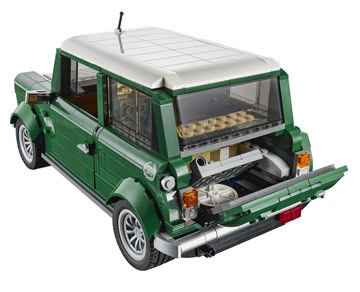 The scale and design of this set is a perfect match with the recent Lego Creator Volkswagen T1 Camper Van (10220). Does this mean that Lego has a new theme? A classic cars theme in the vain of the Lego Modular Buildings. The Mini Cooper has a fully furnished interior, with detailed engine, and full trunk (including a picnic basket!). The overall shape and impression of this set is a good match to the real life version. 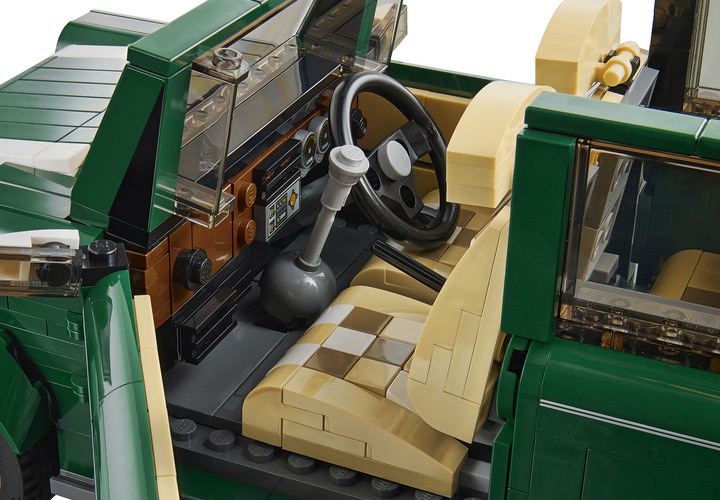 The details are amazing, with one of the most beautiful car interiors Lego has ever produced. The only catch is that the steering wheel looks a little bit low, maybe it can be adjusted. Make sure to check out all the details in the official press release below, and to watch the (now standard) Lego Designer Video.